Fermentation tanks are where the magic happens. It’s important to have a precisely built vessel to condition your beer as it ferments and matures. Lehui Craft’s fermentation tanks are designed and built to last a lifetime, using some of the most advanced manufacturing technology in the world. We offer ultra-precise welding and polishing, complete traceability, material exactness and a dedication to producing certified pressure vessels to all international standards. We work tirelessly to meet our customers’ unique brewing needs and offer compact fermentation tank designs to maximize the efficiency and organization of your production facility. With every fermentation tank Lehui produces, we carry out rigorous radio-graphic inspection on welding lines to ensure the prevention of contamination. Lehui also utilizes state-of-the-art auto-polishing and electric-polishing technologies, which meet ASME and other international standards for in-tank sanitary requirements. 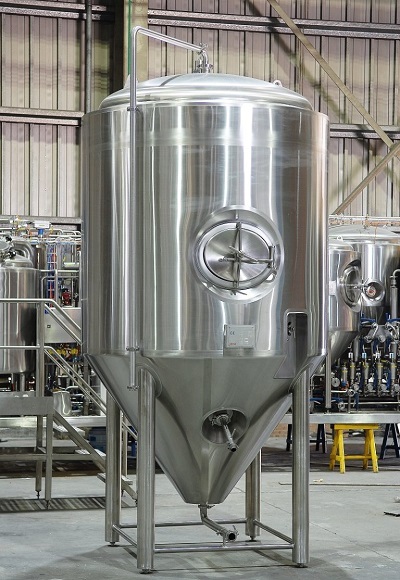 From small, pub-size fermenters to towering outdoor tanks, we have the manufacturing capability and expertise to build fermentation tanks of all sizes. For nano or microbreweries, we can create compact, efficient tanks as small as 3 BBL in size. For breweries in need of large-scale outdoor fermentation tanks, Lehui has ample experience with designing insulated outdoor tanks ranging up to 1,000 BBL in size and beyond. We offer sharp fermentation tank designs, personalized specs and fittings, and on-site installation support to maximize the efficiency of your production facility or brewpub.